Last week, the Department of Energy announced a commitment for its SunShot Initiative to cut the cost of solar-generated electricity by 50 percent between 2020 and 2030. 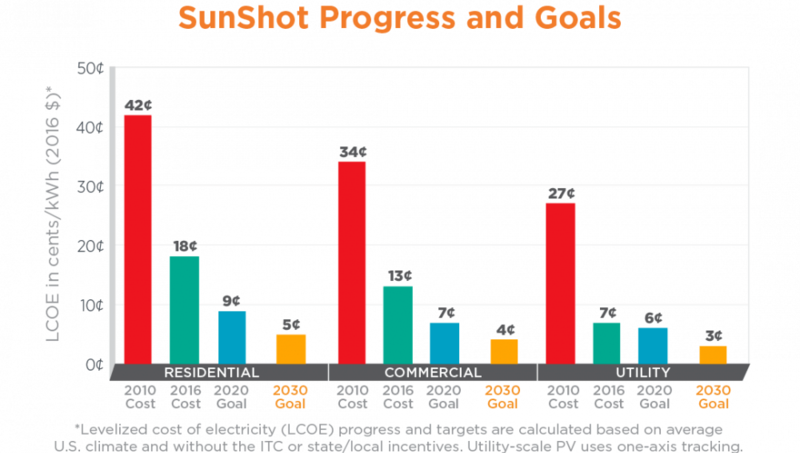 This comes on the heels of SunShot reaching 90 percent of its established goals for 2020 after only five years. The SunShot Initiative has helped make major strides in cutting costs of solar electricity, and making it the lowest-cost form of energy in the U.S. today. The work they have done since being launched in 2011 is nothing short of extraordinary, and SEIA is so thankful for their invaluable partnership. This great news sparked us to think about what else we are thankful for. The solar industry has had a number of wins and advancements in the past year, including the passage of a five-year extension of the investment tax credit (ITC), which has helped the industry grow and become a leading part of the country’s energy mix. 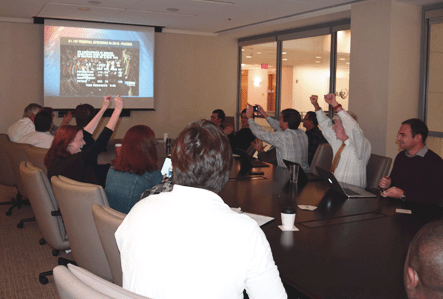 We’re also thankful for the big policy wins at the state level, including most recently in Florida, where Sunshine State voters shut down a deceptive ballot initiative that would have derailed any potential for a thriving rooftop solar industry in the state. 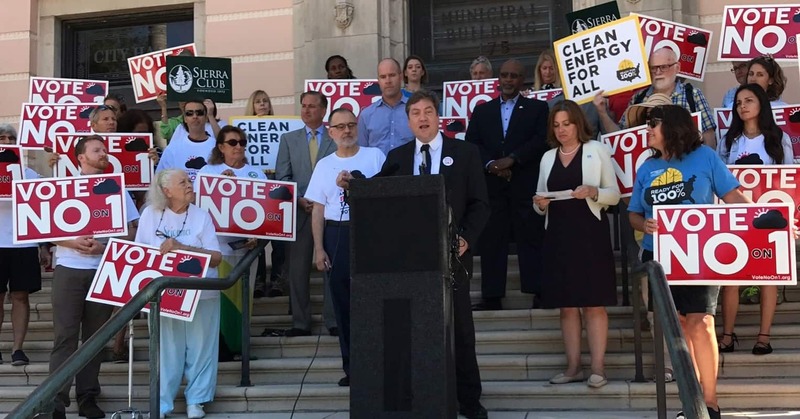 We worked closely with dozens of allies to shut down the Amendment, including Vote Solar, Floridians for Solar Choice, the Sierra Club and many others. 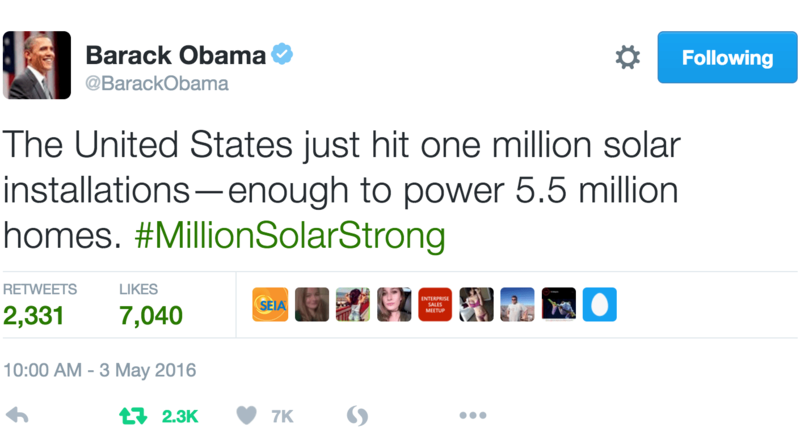 Earlier this year, the industry reached 1 million total solar installations nationwide, becoming a #MillionSolarStrong. This mark took 40 years to reach and is one that we will double by 2018. The achievement was a product of American innovation and ingenuity, and SEIA is thankful for the customers, policy leaders, advocates and the 209,000+ solar workers who helped us reach the historic milestone. There is so much to be thankful for, but these 209,000+ solar workers are the heart of the industry’s achievements this year. If not for their determination and dedication, our industry would not be what it is or have the potential to be what it will become. 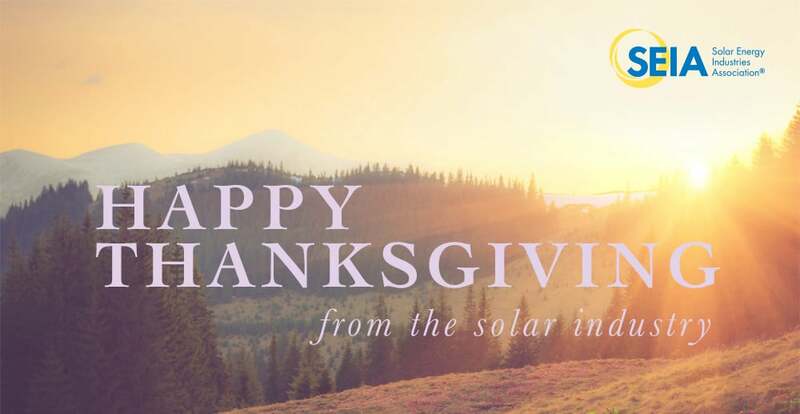 We are thankful for all of their hard work and their partnership in our fight to build a strong solar industry to power America.